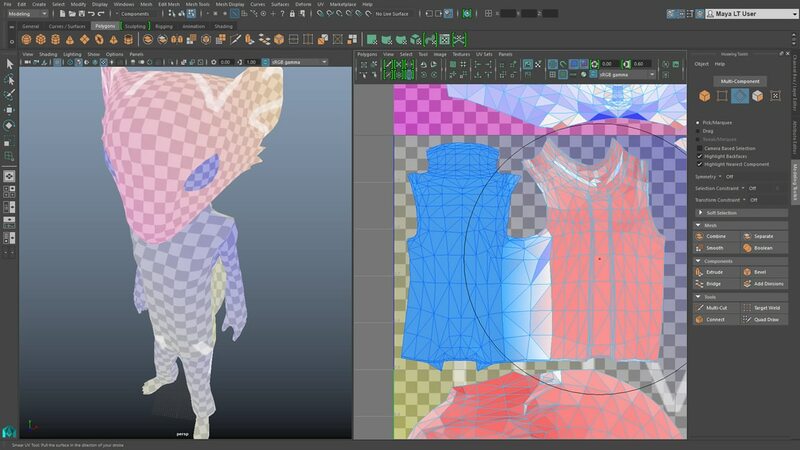 An improved UV creation and editing toolset in Maya LT 2016 makes the workflow for UV maps easier than ever. The new set of Mudbox-style UV brushes make the workflow more intuitive for artists. New additions to the toolset include: interactive cut/sew edge tool, automatic projection, pinning, weld, split, and an unfold brush.